One of the most difficult decisions in choosing a new roof is deciding on which color will best suit the look of your home. You have decided on a product but now must answer questions such as; Which color will look best on my house? Are you looking to match the existing color? Are you looking for contrast? Do you want an aged, weathered look or a sleek modern look? Are there any HOA requirements? How will a color actually look when installed? These are just a few of many questions’ homeowners are faced with when deciding which color to choose. At Brava Roof Tile we are dedicated to making this selection process easier. Each month we ship hundreds of sample packs with actual pieces of our material in various colors. Customers often comment on this courtesy, shocked we can offer this service for free. The reason we do is simple, we understand. We understand the challenges facing our customers and want to be sure we are proactive in helping reduce any stress associate with designing your new roof. For these reasons we offer full-sized samples of each of our products, shipped to your home or office at no cost to you. We do this to ensure our customers have a full and accurate representation of the color and style of our product. With our nearly limitless color options and heavy variegation, it is important our customers receive the best representation possible. Our products, much like their natural counterparts, are not one dimensional or perfectly identical. Much the opposite! Our materials are designed to mimic the natural imperfections and deviations seen in nature. Each piece is crafted to be one of a kind with individual tones and variations. This is important to remember when reviewing your samples. Each color works within a standard deviation to ensure a natural and realistic finished look. To accomplish this, our engineers have designed a system which utilizes tiny variations in the color of each piece to produce the prefect overall look. The variegation or marbling in our tiles provides depth and contrast when installed at pitch. A single color can and will take on a multidimensional look in different depending on a number of factors, including the pitch and height of your roof. 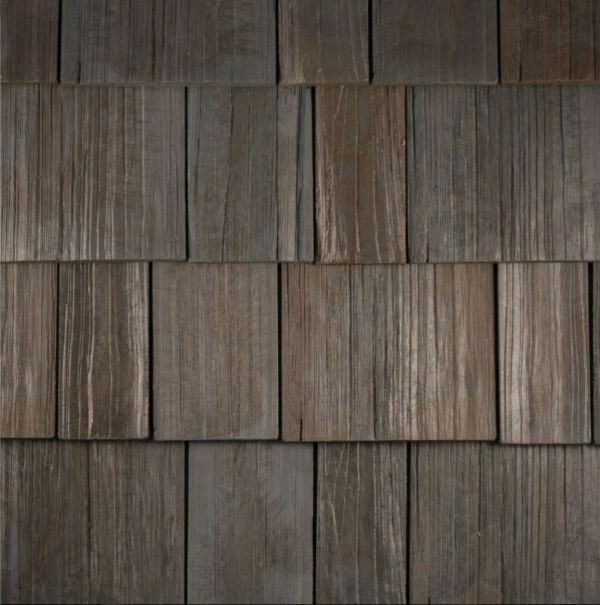 This is a very important fact to keep in mind when choosing a color for any roofing product. Homeowners must ask themselves; how will this look with the pitch of my home in natural light? To help answer this question, we recommend getting the material outside and viewing from a distance. When possible, we suggest homeowners lay our materials outside and walk by them for several days before trying to make a decision. In ideal situations, homeowners are able to place the individual pieces on the existing roof to get a feel for the installed look. This of course should only be done when safe to do so or done by a professional. Placing the materials on the roof helps for two reasons; you can see the color in several different lights as well as at pitch.